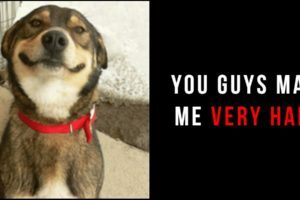 Dogs love to play and as dog owners, they provide us with unconditional love. 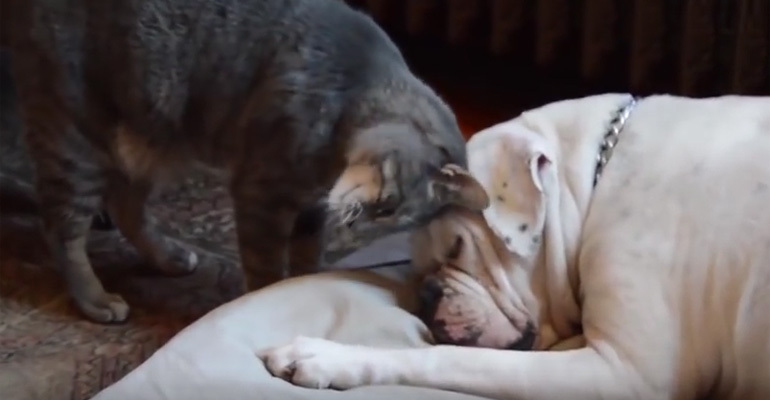 Because we love our dogs, we often shower them with dog toys. 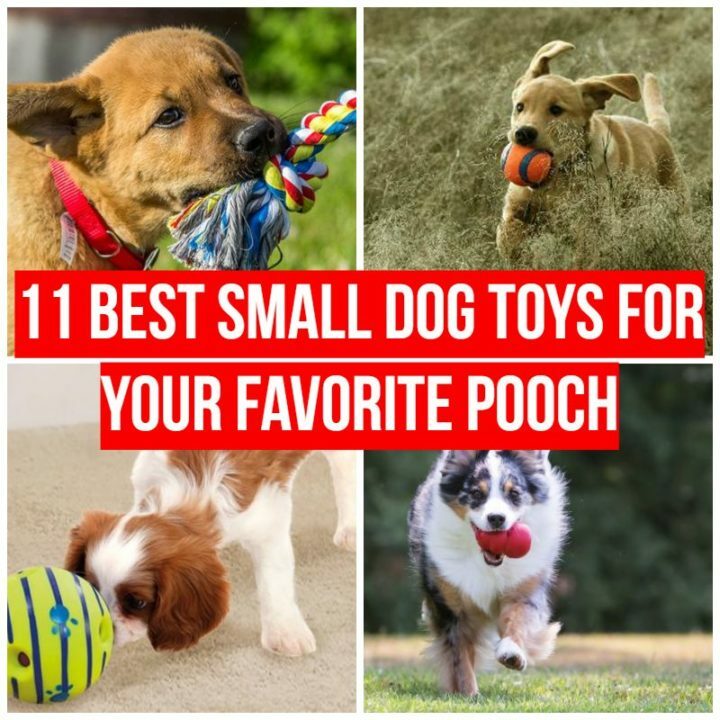 If you’re looking for some doggy toy ideas, here are some of the best small dog toys to stimulate their minds, get some physical activity, and most of all…have fun!! The Kong proves that simplicity in design also applies to small dog toys. The classic red rubber toy is loved by dogs of all sizes and is a terrific way to let dogs enjoy their treats while also stimulating their minds. 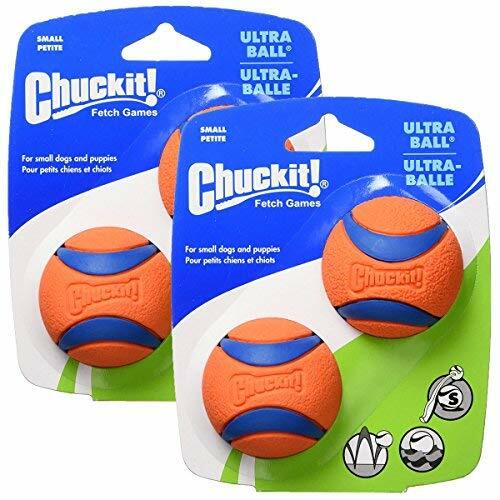 Its innovative three ball design also allows an unpredictable bounce for fun games of fetch. Made from actual professional grade fire hose material, Sqwuggies are fun tuggable toys that will provide hours of fun for small dogs. 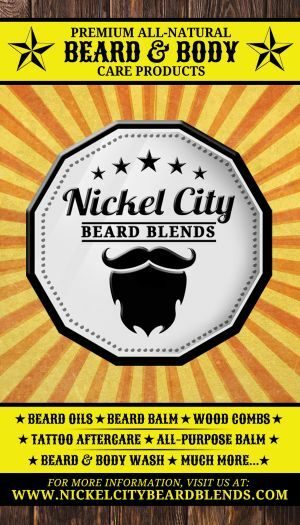 They come in a variety of bright colors with a muffled squeak that is perfect for a dog’s sensitive ears. If you think the Chuckit! Ultra Ball is just an ordinary pet toy ball, think again! With its high bounce, buoyancy, visibility, and durability, it’s one of the best dog balls to play fetch with. Roughly the size of a tennis ball, these toy balls are made of rubber so there is no felt that can be chewed off. Because your dog loves to cuddle AND play, the KONG Cozies Dog Squeaky Toy does both. 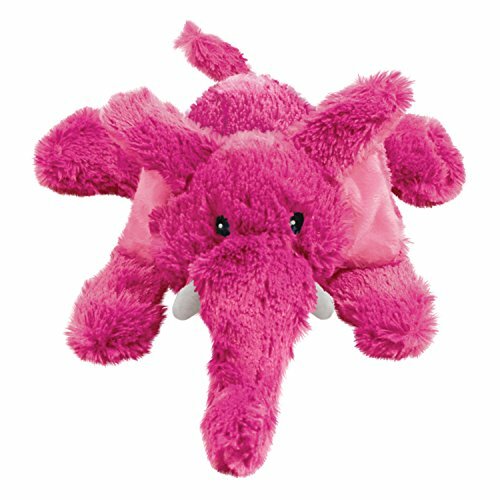 Your dog will love to cuddle with this soft and cozy plush dog toy; however, its playful squeak and durable construction also make it perfect as a fetch toy. If you avoid plush small dog toys because you’re afraid of eventually cleaning up a fuzzy stuffing mess, this dog toy is for you (err, your dog). 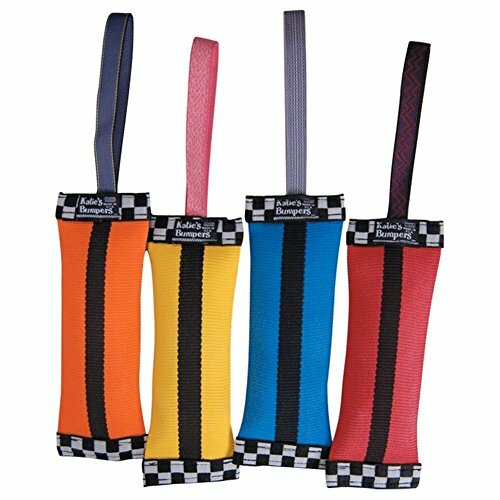 The Skinny Peltz squeaky plush dog toys don’t contain any stuffing and are extremely durable. 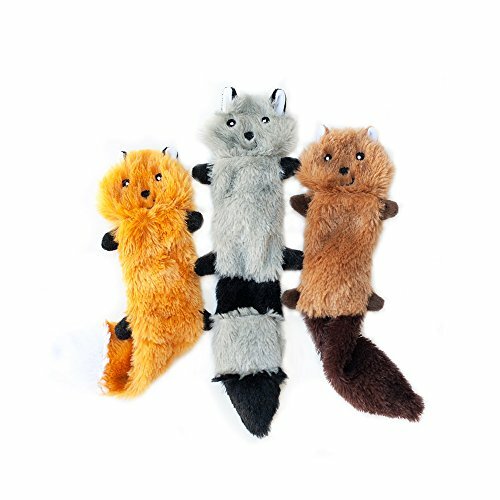 This trio contains fun characters like a fox, raccoon, and a squirrel for endless fun for your small dog. Made from premium cotton-blend rope fibers, Mammoth Flossy Chews takes care keeping your dog’s oral health in check while providing hours of fun. While playing with this chew toy, its rope fibers floss your dog’s teeth and the 15-inch length is perfect for small dogs. 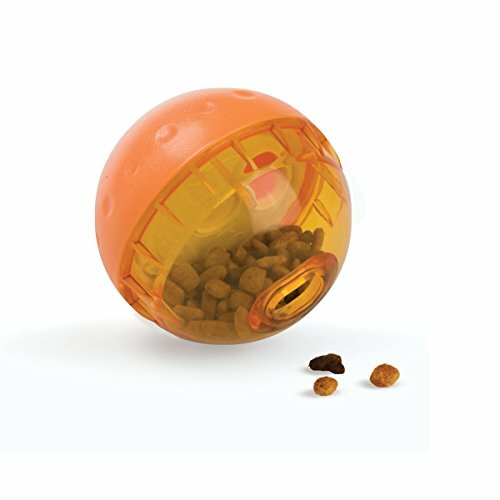 Fun for dogs of all sizes, the Wobble Wag Giggle Ball is bound to keep your small dog happy, healthy, and fit. 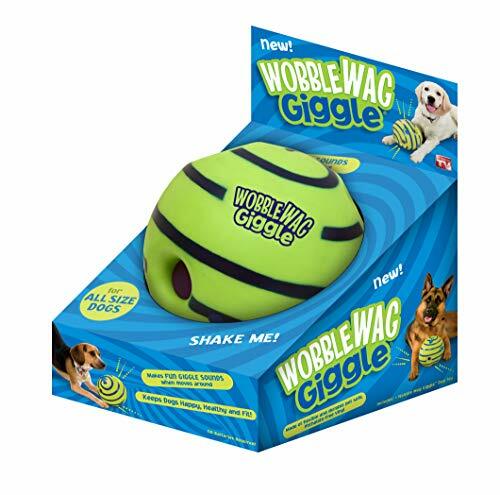 As your dog pushes it around or picks it up, the Wobble Wag Giggle Ball makes funny giggle noises to keep dogs entertained and engages their natural curiosity. It can be enjoyed indoor or outdoor and is one of the best interactive dog toys you’ll ever find. 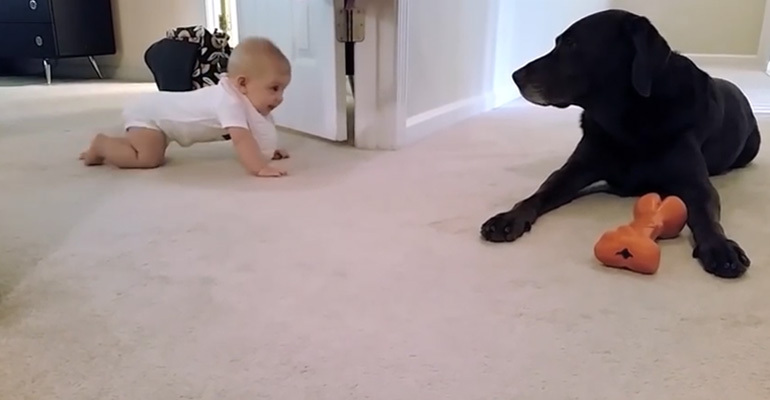 Dogs are naturally curious and many small dogs are master scavengers. 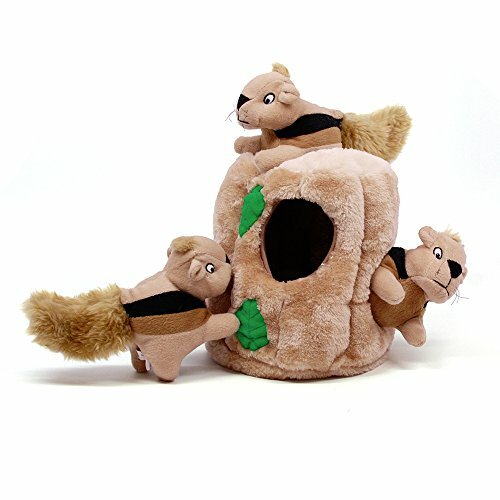 For this reason, they will love playing hide and fetch with this Outward Hound Hide-A-Squirrel doggy toy. Hide squeaky squirrels within the tree trunk and watch your dog have fun sniffing, scrounging and fetching them over and over again. If you grew up in the 60s, 70s, or 80s, you obviously are familiar with Lambchop. The TV puppet was a classic on Shari Lewis’ equally classic TV program. 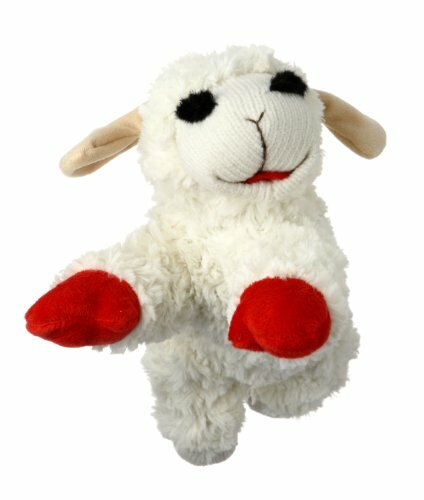 Now your dog can enjoy Lambchop as a squeaky dog toy for hours of fun. 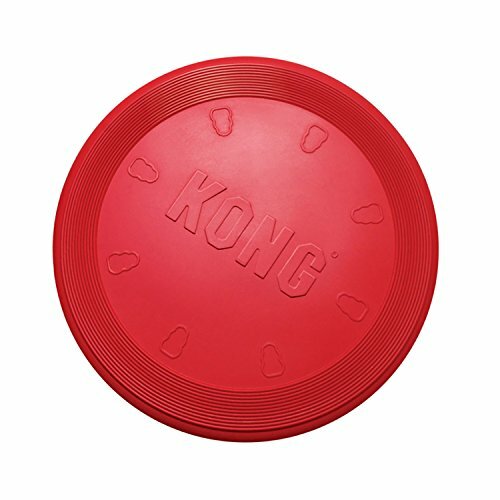 Another classic by KONG is this soft and flexible red rubber disk for the ultimate game of fetch. 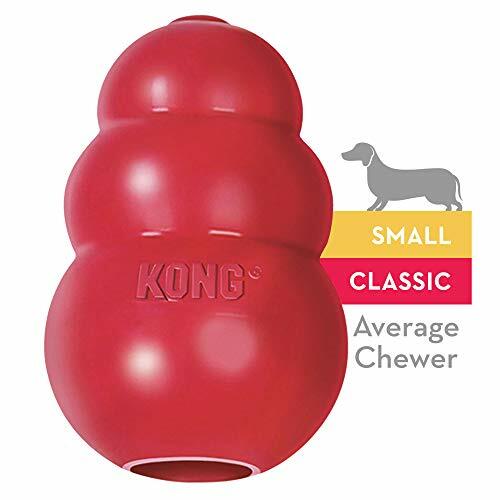 Lightweight and easy on their teeth, the KONG Flyer is a fun exercise for you and your dog. Have your dog exercise and play and let them get rewarded for it with the IQ Treat Ball. Fill the toy with your dog’s favorite treats and they’ll enjoy healthy play all day. 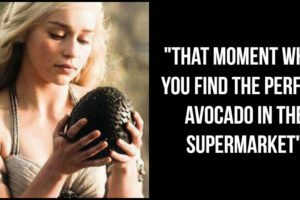 Please share the best small dog toys for your favorite pooch with your friends and family. 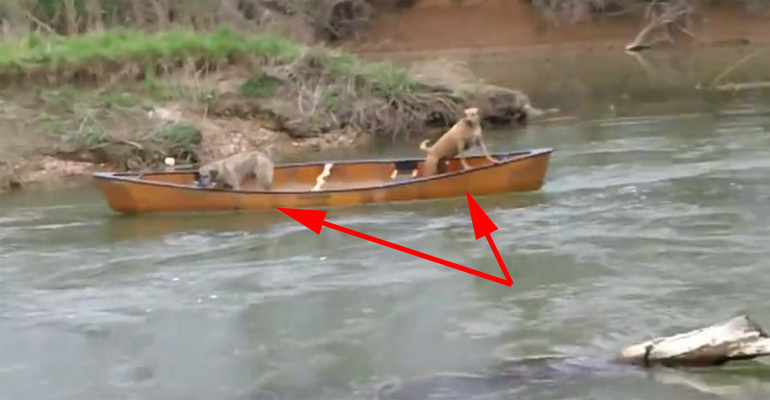 Two Scared Dogs Are Trapped in a Canoe. 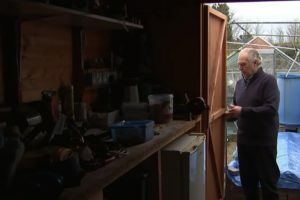 Watch Who Comes to Their Rescue…I Couldn’t Believe It!